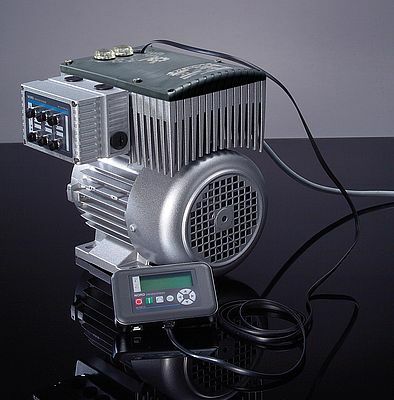 Speed control balanced to actual requirements enhances the energy efficiency of pump systems. NORD DRIVESYSTEMS supplies complete pre-assembled distributed drive units for a wide performance range to 22 kW. In addition to energy savings of up to 60%, users benefit from reduced noise emissions, low wear, and increased plant service life as well as the ecological advantages. The SK 200E series comprises reliable and economical frequency inverters especially tailored to pump applications that precisely adjust power output as required. They are compatible with mains voltages worldwide. The company configures complete drive systems for various application areas (IP55/IP66, ATEX zone 22/3D). Integrated process and PI controller functions enable the fully automated control of process variables and compensation of disturbances - in stand-alone and mobile applications as well as in complex setups with several drives. Thanks to two analog inputs, the inverters can directly process sensor data such as pressure or flow rate. Optional signal and power plug connectors facilitate handling and ensure compatibility. A programmable energy-saving function automatically reacts to partial load operation - increasing efficiency and significantly reducing running costs. Operation is straightforward and flexible via control terminals, bus, or via an optional potentiometer that enables adjustments directly at the inverter. Up to four operation modes can be stored, saving setup time; for instance during cleaning cycles or media changes. The customized parameters can be quickly exported to other units via a pluggable storage module, the system bus, or Ethernet interfaces. With control cabinets no longer required, the decentralized option minimizes cabling effort for users, and since the inverter is supplied pre-assembled the electrotechnical effort during installation is minimal.